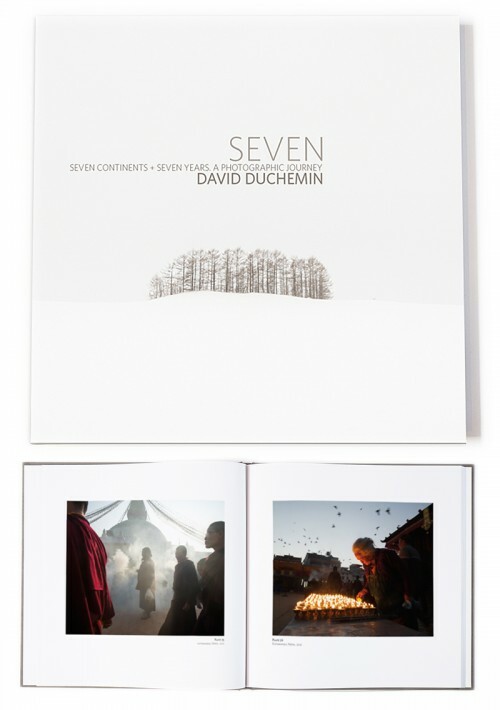 Today we’re launching my first fine-art book, SEVEN. It’s a retrospective collection of the personal work I’ve done over the last 7 years on 7 seven continents. This is a limited edition book and once those 1,000 signed and numbered copies are gone, they’re gone. Today we’re announcing pre-orders of this limited edition, and giving you 7 days to save $15, if you order before April 02, 20113. SEVEN is being printed in Canada on gorgeous 100lb McCoy Silk Text stock, and hard-bound with Italian linen. It’s going to be stunning. And large too. At 160 pages and 12″x12″ it’ll look great on your coffee table or in your library. 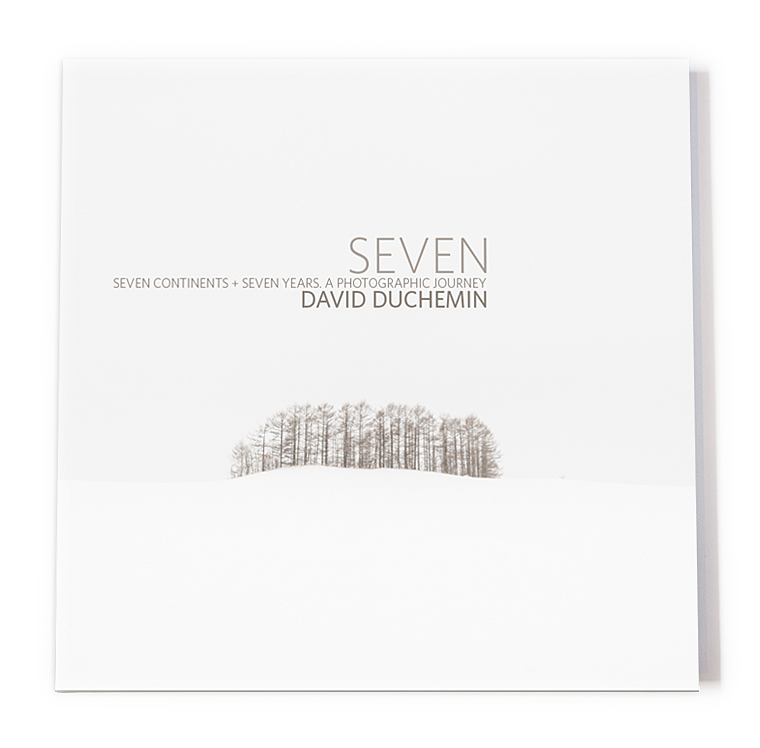 We’re offering SEVEN in two editions: a Limited Edition, and a Special Limited Edition. Limited to 900 copies (numbered 101-1000), hand signed and numbered. 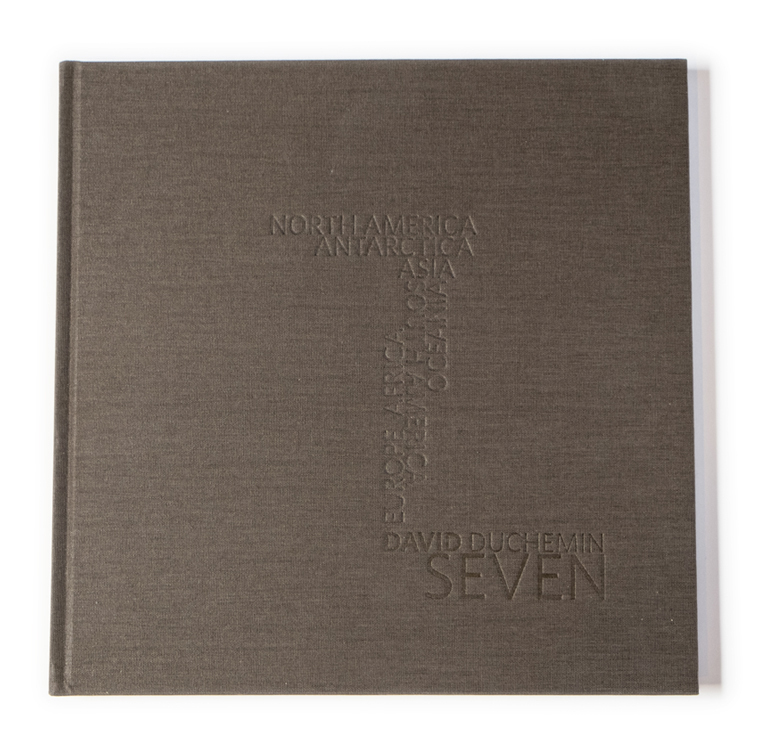 160 pages, beautifully printed and bound in Canada, linen bound. These are shipped, with a tracking number, in a custom-made double-walled cardboard mailer. If you place your order within the first 7 days, the price is $75+S/H, saving you $15. Regular price $90 + S/H. Note: Shipping and handling (S+H) rates are: United States ($25), Canada ($15), and International ($70) – estimated to arrive within 14-days. The Special Edition is limited to 100 copies (numbered 1-100), hand signed and numbered. Signed, limited edition print of Arctic Circles, made last fall during my trip north to Canada’s arctic. 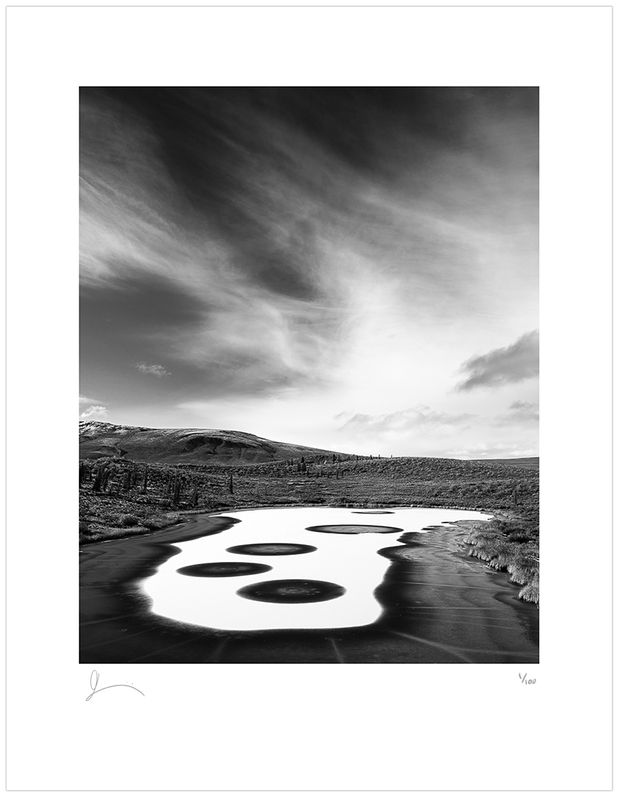 This 8.5×11 archival print will be hand-printed, signed, and numbered to match your book. 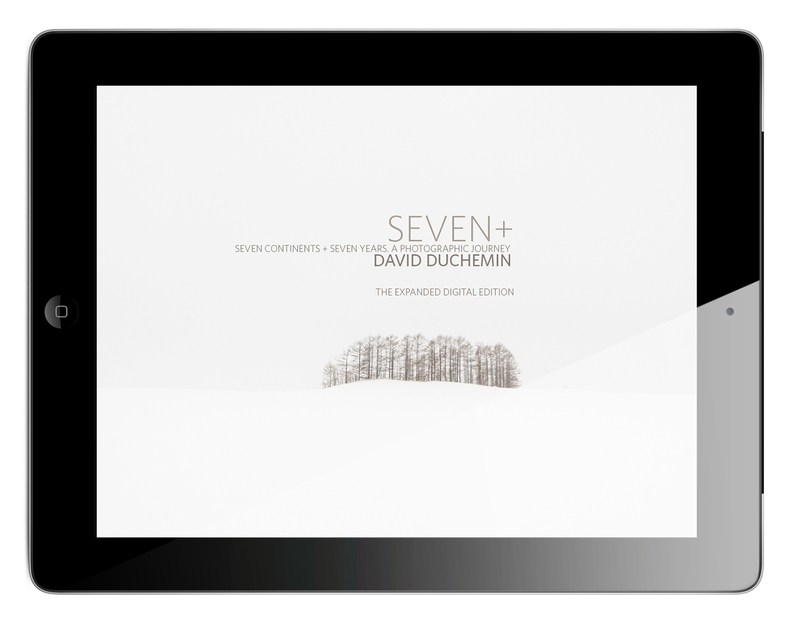 A PDF copy of SEVEN+, an expanded 200-page edition of the book that you can carry on your iPad, phone, or laptop, so you can enjoy the book anywhere and still leave it at home to spare it the damage of day-to-day carrying around. We’ve added 40 more pages of images I so badly wanted in the print book but just couldn’t make them fit. Like the Limited Edition, these are shipped, with a tracking number, in a custom-made double-walled cardboard mailer. If you place your order within the first 7 days, the price is $135+S/H. Regular price $150 + S/H. We’re taking orders now, with payment in full. The book is at the printers and we’re so close we can taste it. We’re expecting to take delivery, sign them, and ship them in the first week of June. We’ll send an email to each purchaser, with tracking numbers, the moment these ship, but you’ll get a confirmation from us the moment you reserve your copy. I am truly proud of this. We created this as a legacy piece. I wanted to create something beautiful, inside and out. Something that was a delight to touch and hold. I wanted something that would inspire and show you the world the way I see it, in these fleeting glimpses of beauty, hope, and wonder. Unlike so much of what I publish, this is not an educational book. The book opens with a short essay about the gift of photography, and what follows is photograph after photograph, quietly captioned with location and date. I want, at the end of the day, my photographs to speak for themselves. I also believe that looking at, and studying, photographs, is some of the best education we can have in terms of making our own photographs. I’m so proud to have a chance to put this into your hands, and as always so, so grateful to you for the chance to do what I love and have an audience for my work. Thank you. I hope you’ll celebrate with me and reserve a copy of your own. This is beautiful. Just simple and beautiful. As with much of your work, I feel as if I’m right there, seeing, with an emotion caught in my throat. Thank you, David! I cannot wait until a copy comes in mail! Just pre-ordered mine! Snagged one of the 1/100 . . . very much looking forward to this!! Congrats and good luck with the pre-orders!! Preordered and eager for arrival. Cheers. Congratulations! The book looks like it is going to be amazing. I hope it exceeds your expectations. So excited to have placed a pre-order. 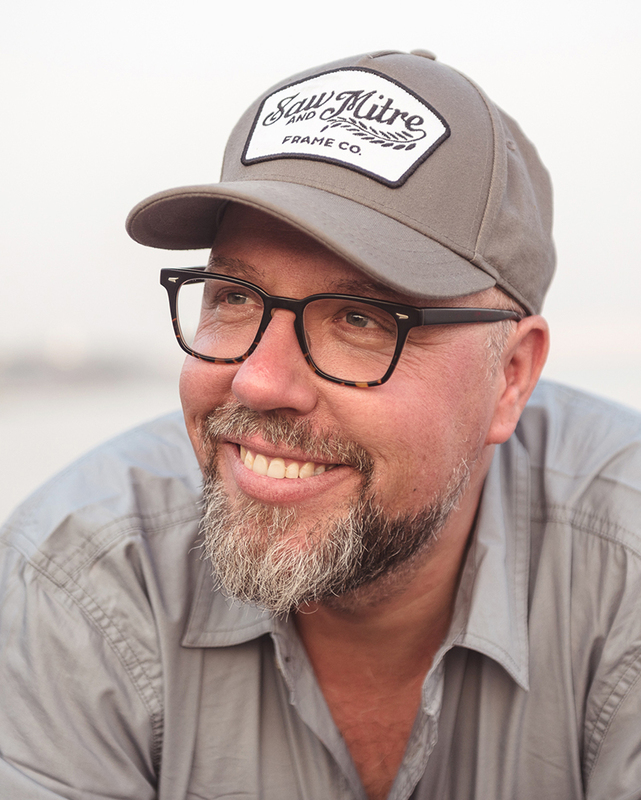 I don’t fly all that often but several years ago, I was sitting in an airport when you released your first ebook “Ten” that eventually morphed into Craft and Vision. Here I am again – in an airport – for the release of your first fine art book. Looking forward to it. Tremendously excited for the Special L.E. heading my way in June. This is an awesome opportunity for me to dig deeper into your personal work, David, and also to say thank you (with my wallet 🙂 ) for all the learnin’ and inspiration you have brought to me over the past few years. Blessed journeys! Just placed my order for one of the 1/100, limited edition, and can’t wait to receive it. Congratulations on the completion of your book, as I’m sure it is very exciting. As someone that admires your work, your vision, this book, pdf and print will be a perfect edition to my growing library, and provide inspiration for years to come. Congratulations David. The book looks great and it is a great way to show your work. Can’t wait to see it. Wow, they went fast. I think I ordered mine just in time. Already sold out :-(?! Sorry, no deal than :-(. Greetings from Switzerland. Congratulations David on finishing what looks like another fine project. I have just ordered mine, and I look forward to the day it arrives. Like another Stephen above, I was in an airport, just about to head off to Japan actually, when your first ebook “ten” came out. It was so inspirational. I was not able to travel to Japan that time, nor have I been able to get back for the last five years (due anxiety over flying). However, I have continued to create images, read your ebooks and have been dreaming of the time I can get back to Japan (my favourite place) and hopefully meet up with Alfie Goodrich and Martin Bailey to do some photography. Well, five years later I have decided to get on the plane and head off to Japan on the 30th of March. I am NOT attempting this time, I am DOING. I have lots of great distraction materials with me, most of them from the Craft & Vision store. Thank you for creating such inspirational art, and sharing it with us. Hope you have an awesome trip. Way to go, Stephen. Gambate! thanks for all the great inspiration! Come down to SoCal Beach cities for a visit and host a seminar/workshop please! Missed out on the Special Limited Edition, but booked the Limited edition.. can’t wait..
Now that the Special Limited Edition with the Arctic Circles print has sold out instantly, is there some way that the rest of us mere mortals who order a regular Limited Edition can get a copy of the PDF of Seven+, to view on our iPads? Still thinking about this one, Randall. Stay tuned. I echo all the comments here. Congratulations and thank you. I look forward to receiving my copy for which I will place the order shortly. Like Randall Kaye, I, too, am very interested in knowing about a way to procure a copy of the PDF for iPad. Thanks for your consideration, David. Congratulations David. I’ve ordered my copy and can hardly wait until June to recieve. I’m so happy for you David. Your vision has lead you down many paths and soon we’ll get to hold your newest creation in our hands. I look forward to seeing your stunning images when my book arrives in June. I know it will be a wonderful treasure that will inspire me to grow and explore as a photographer. Thank you and congratulations! David, I feel privileged and extremely lucky to be one of the few who will own one of the special limited edition copies of your labour of love. I can’t wait for it to arrive so I can share your inspiration with family& friends here in Australia. Thank you! Looking forward enormously to receiving SEVEN! Thanks Roger, your support and enthusiasm means the world to me. This has been a dream come true, cliche as that sounds, and I’m grateful for every person that has ordered one. Well, the special edition was sold out before I got out of bed on Tuesday…., so just pre-ordered the standard version. Congrats on the whole project; looks like it’s a total success, even at this early date. Thanks, Tom. I smiled when I saw your name on the orders. Looking forward to the day we meet in person. You are very welcome, thanks for all your inspiring images and yes, it would be fun to meet, we don’t even live that far apart from each other…..
I’m disappointed that I missed the special edition while photographing in the evening, but I’m happy for you David that it was so well received. Tried to purchase through a mobile device and, well, it didn’t work due to a poor data connection. Purchased the standard edition and can’t wait to see your work in print. Enjoy your time at the press check!